Nestled in the heart of the Greater Toronto area is one of the city’s finest and most exquisite wedding venues: Graydon Hall Manor. This grand, historic building established in the 1930’s is an elegant and sophisticated location to host an event. With its admirable original architecture and attractive interior décor, this estate has all the best features to offer for the big day. Walking up to the estate, you will fall in love with the archways and stonework outside. The grounds are lush with colourful gardens surrounding the building. Around the back of the manor is a charming courtyard featuring a beautiful fountain in the centre of it. Inside, the venue is full of polished vintage furnishings and tasteful decorating. Graydon Hall offers both indoor and outdoor events, whether it’s the ceremony or the reception afterwards. 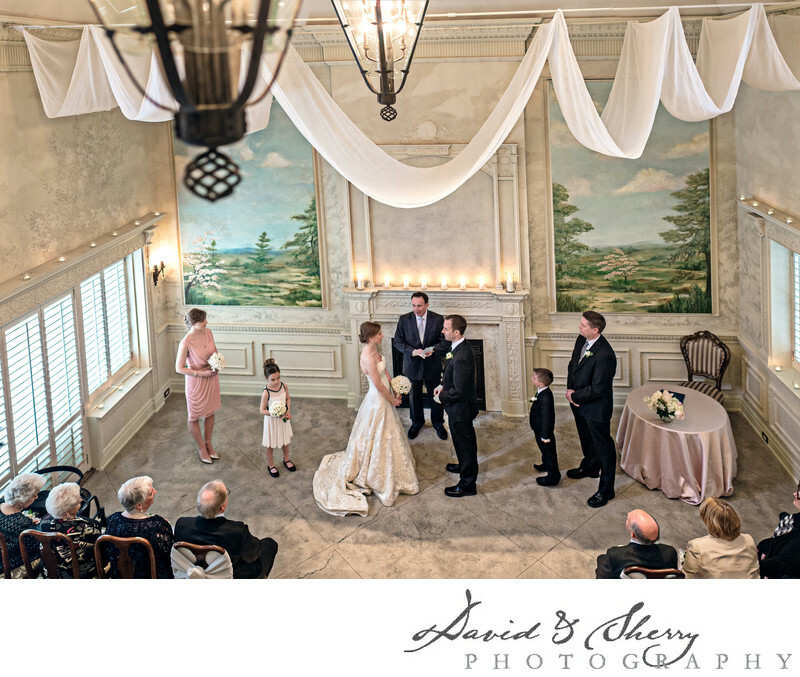 Although an outdoor ceremony is always lovely, this location’s indoor area is just as superb. The chapel within the Hall is bright and airy, with high ceilings and unique wall designs and a pleasant fireplace at the front of the room. The ceremonies that are held here always have an intimate feel, no matter how many guests attend. When it comes to wedding venues in the GTA, there is no doubt that this glamorous estate is one of Toronto’s best.